with proportional, presetting with memory lock, with draining, filling and isolating facility, with metering station for flow measurement and with linear characteristic line of the regulating insert for piston strokes up to 2.5 mm. 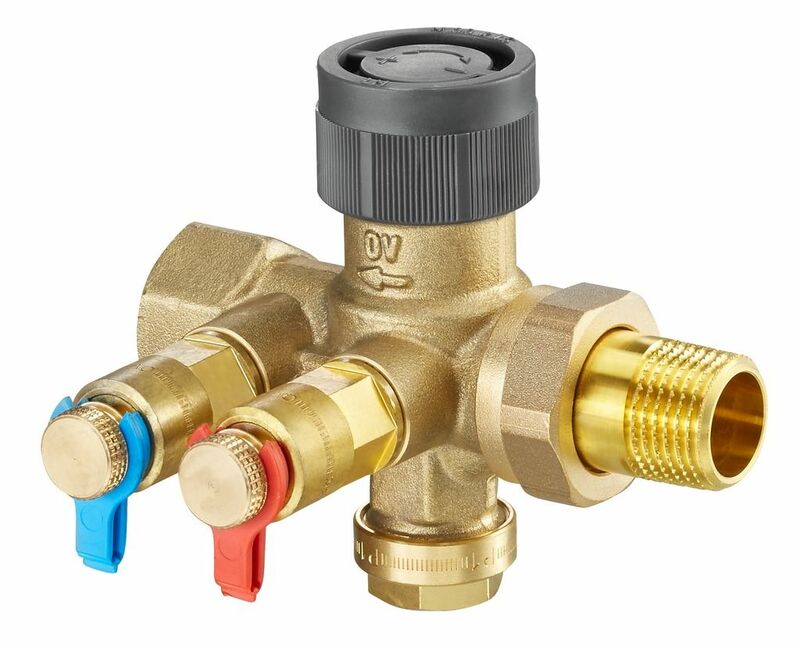 Valve made of unplated brass, valve disc made of EPDM or PTFE, O-rings made of EPDM, stem of the regulating insert made of stainless steel. Protection cap with additional seal made of PTFE. 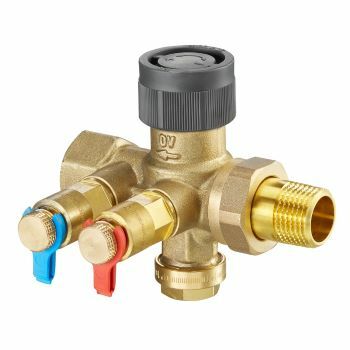 Complete valve insert replaceable under working conditions with the help of the special tool “Demo-Bloc”. Connection for threaded pipes, copper or precision steel pipes, plastic pipes as well as the composition pipe “Copipe”.